PAYSON, Ariz. -- Three men, named Tupac, Robin Williams and Erick Harris, were arrested in Payson, Arizona on suspicion of possessing nearly $70,000 of marijuana. Authorities said the oddly-named trio, all from Albuquerque, New Mexico, were stopped on Sunday along State Route 87, near Payson, Arizona. 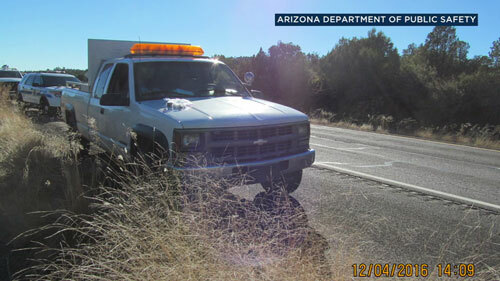 An Arizona Department of Public Safety trooper pulled over the white Chevrolet pick-up truck for traffic violations. During the stop, the trooper noticed signs of criminal activity and called for a K-9 officer to come investigate. 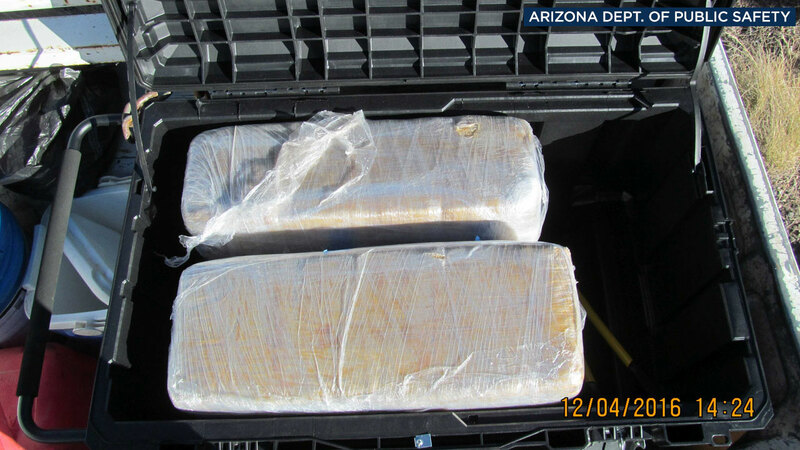 With the help of the K-9, authorities found a tool box and equipment box in the bed of the truck that were hiding a total of five large plastic wrapped packages containing pot. The packages weighed almost 115 pounds and had a street value of nearly $70,000, according to the department. Tupac Crum, 19, Williams 21, and Harris, 22, were all arrested and booked into the Gila County jail on suspicion of several drug offenses.